Many Roma families have temporarily left Gabrovo and for two days there have been almost no Roma children in schools, the Amalipe Centre said in a statement after anti-Roma protests shook the central Bulgarian town. Tensions in Gabrovo rose after an incident in which three men of Roma ethnicity assaulted a shop assistant. Subsequent protests saw incidents of violence and arson of two houses where Roma people were living. The Roma rights NGO said that gendarmerie were deployed near places where there were Roma houses, but the police had “shown frustration, urging more Gabrovo Roma to spend the next few days with relatives in other municipalities”. The Amalipe Centre said that Roma people in the town were very worried, especially against the backdrop of the protest expected for the night of April 13. It was expected that those coming to the town would include “football fans” from Plovdiv. 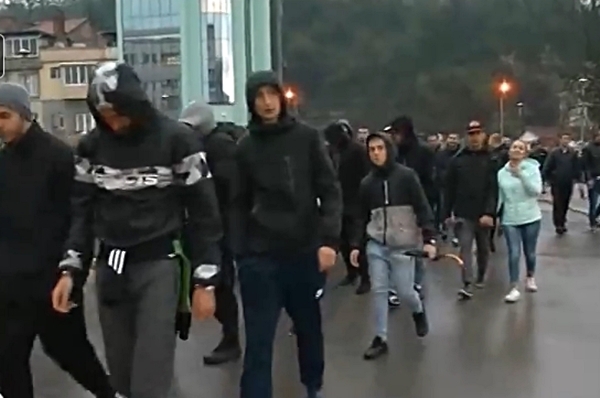 In Bulgaria, “football fans” – large group of young men – tend to be associated with ultra-nationalist causes, as well as racist and homophobic protests. A further night of protest was held on April 12, though unlike the previous protest, it passed off largely peacefully. The protest was billed as being one to “say no to aggression”. The police’s handling of the April 11 situation led to Bulgaria’s Prime Minister demanding and receiving the resignation of the town’s police chief. Before the April 12 protest started, seven young men were taken into custody after being found, variously, with box cutter knives and lacking identity cards. They were held briefly, cautioned and released. Media reports on April 13, quoting social networks, said that people from several other cities in Bulgaria were expected to come to Gabrovo to protest. In Bulgaria, there have been periodic flare-ups of tensions in various towns between ethnic Bulgarians and members of the country’s Roma minority. The Gabrovo episode is unfolding against a background of Bulgaria’s forthcoming May 26 European Parliament elections and mayoral and municipal elections in October. The April 12 protest and the one the day before saw participants calling for the resignation of Gabrovo mayor Tanya Hristova. Earlier, Hristova issued an appeal to political parties not to stir up ethnic tensions.